CaP, when used with our specific F female adapters, becomes a coaxial connector in any available standard (IEC, RCA, BNC, F, ...) male or female, straight or right angled, 50 or 75 Ohm. For high professional use are available our BNC HQ male and GC HQ adapters (Return Loss > 30 dB @ 3 Ghz). 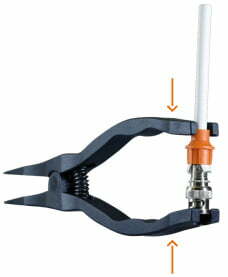 external body: single and compact element, to have smaller dimentions and lower signal losses. After the cable preparation (see instructions here) , insert the centre conductor into the F female connector and fold the braid and the jacket over the thread by sliding the CaP over it. 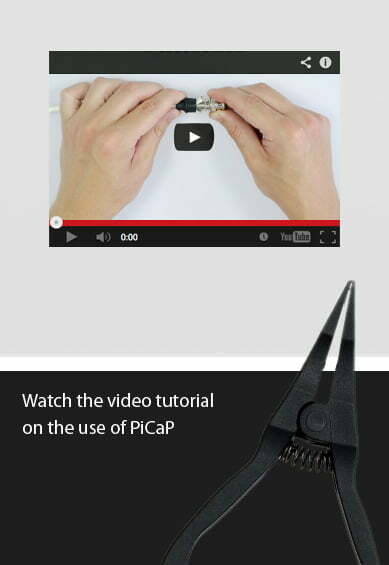 Lay the coaxial cable through the flat side of the professional pliers (ProCaP). Slip the connector groove in the fingers on the far side. Gently squeeze the pliers to secure the connector. 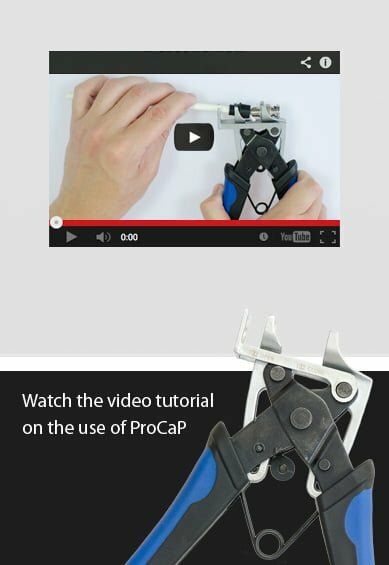 Unlike compression connectors, CaP does not require force. 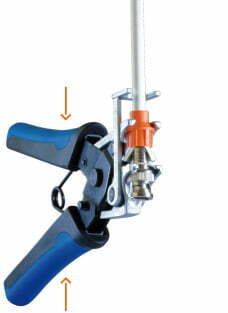 With the ProCaP fully open, insert the connector groove in the middle fingers and squeeze the handles to open the connection. After the cable preparation (see instructions here) , insert the centre conductor into the F female connector and fold the braid and jacket over the thread by sliding the CaP over it. 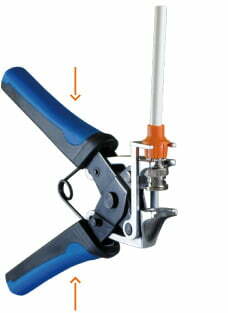 Insert the connector between the handle tips of the economic pliers (PiCaP). To terminate the connection squeeze the handles, placing your hand near the connector to obtain greater leverage. 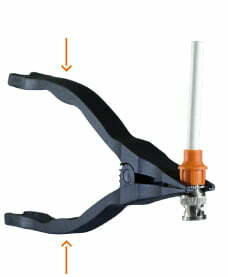 Insert the connector groove in the fingers (closed) at the top of the PiCaP and squeeze the handles to open the connection.